Our partner, Community Warehouse, is a local furniture bank that has been serving the Portland area for over 15 years. They collect donated home goods and work with social service agencies to transport those goods to those who need it most. What you no longer need becomes the solution for a family in need. Anything and everything – extra dishes, towels, or beds – helps and changes lives. 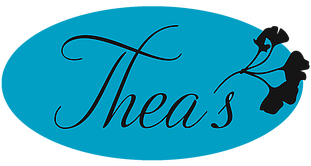 Thea’s Vintage Living brings to you a one of a kind vintage and antique finds experience. They curate their inventory with new local artisan and regional gifts, hand selecting each item. With beauty, attention to detail, and purpose, comes a collection of unique jewelry, home decor, lighting, linens, furniture, and more. From Industrial, Mid Century, Victorian, Antique, Oriental, Vintage, and new, there is something for everyone. Cases beckon with local jewelry artists gems, and vintage pieces.